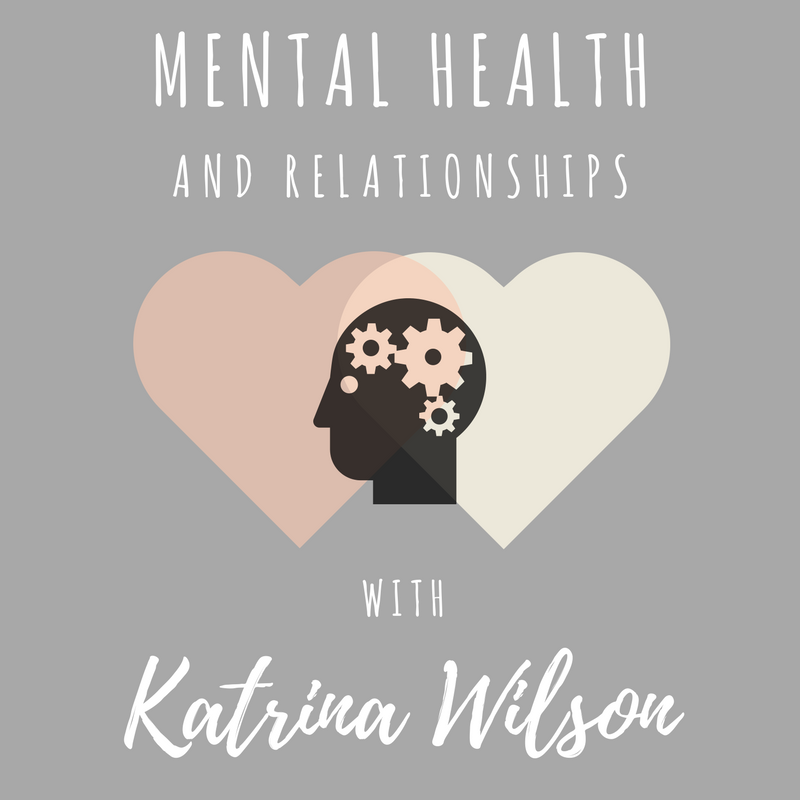 Mental Health + Relationships - with Katrina Wilson! Recently I received a package in the mail. Inside this package were chocolates, every flavour of tea even imaginable, a book mark, an adorable postcard with a Dr Seuss quote, and a card. I'd been having a really horrible time and this was the most wonderful, thoughtful surprise. It came from my amazing friend Katrina - and it reflected exactly what she's like: kind, giving, warm-hearted and always thinking of others. Kat is an absolute gem of a human, and I'm so thankful both to have met her and to have her involved in this series. Kat is a fellow Scot, living up north from me in what basically looks like my dream scenario: a beautiful home in the Aberdeenshire countryside, with the cutest pets I've ever seen in my life (I stalk Kat on Snapchat to live vicariously through her). But she is also the most incredible person, and I cannot emphasise enough how much I appreciate all her support. Kat blogs at Chronically Composed, talking candidly about life with chronic pain. She doesn't shy away from the realities of her experiences, but she has such a positive and optimistic outlook that is really infectious! I chat to Kat a lot over on Twitter, and I'd very much recommend you give her a follow! And if you, like me, have emoji heart-eyes over dogs, check out Kat's Instagram - if you can handle that much cuteness! Hi! 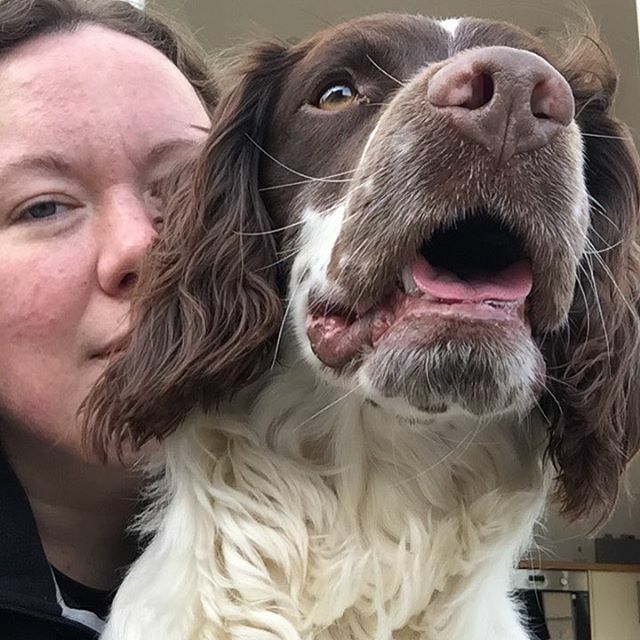 I'm Kat, I'm from Aberdeenshire in Scotland, and live with my husband and 2 cats and 2 dogs. I started blogging over 2 years ago now, as an outlet for sharing my experiences with Chronic Pain. I like to think that I share an honest and open account of how Chronic Pain has affected me and my life, and hopefully, others can relate to it too! The blog post I'm most proud of is Wobble - this post was a massive step for me, opening up about my Mental Health issues due to my Chronic Pain, and sharing my darkest and deepest thoughts. 2. Have you discussed you MH with your loved ones? If yes, how did you start that conversation, and if not, why not? 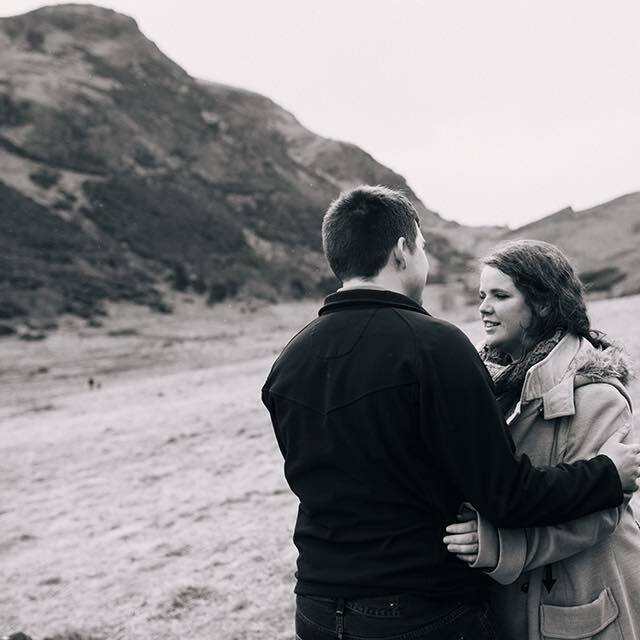 I don't tend to discuss my Mental Health with anyone other than my husband, and even then it's only very occasionally that I mention it, especially if I am really struggling at that precise moment. I usually start the conversation with him by saying "Babe, I'm struggling" - he then knows what's coming next! I know quite a few people around me with depression, and it amazes me that some don't even share that they are suffering with depression or even anxiety. Most of the people around me aren't surprised that I have depression due to everything I have been through with my spinal problems, but most are very shocked when I say I have depression, as I always seem to be positive and happy, and I think then people can't get their heads around it. I have heard quite a few negative comments, and it then makes me clam up. One particular one was "you don't need tablets to make you happy, just get over yourself" - so as you can imagine, I said nothing else, seeing as depression doesn't really exist in their eyes! I don't think it's had much of an effect on my relationship with my husband in particular. Depression is nothing to be ashamed of, and I'm certainly not ashamed of my depression. It's part of me, and it's something that I work hard to deal with every day. My husband is great, he never stops making me smile, and is always there to listen when I need him to be. My family members NEVER talk about depression, so I don't tend to open up to them when I need help. I'd rather keep things to myself and deal with them another way. I am a lot more cautious of people nowadays, and I think not having a massive circle of people around me to talk to has done this to me. Everyone assumes I'm ok, because I'm smiling or I'm happy, and I'm just as bad for letting people think I am ok. Sometimes it's just easier to say nothing. I can't handle the questions, eye rolling and lack of listening - I have no time or patience for that! As I mentioned before I don't really tend to talk about my mental health with anyone other than my husband. He is quite good at knowing when I'm struggling, and sometimes all I need is a hug and to know he is there for me. I'd really like them to pay more attention to the year we are in. It's 2017 and depression and mental health are issues in this world. Just because you "never had depression back in your day", doesn't mean it didn't exist then either. But saying this would be seen as being over-dramatic because most of the ways are "old fashioned" ways of thinking. It's frustrating! I'd tell anyone to just be open and honest with your loved ones. At the end of the day, you are someone's son/daughter (etc) and nothing will change that. Why suffer in silence, when you can talk about it - even if at the end of the day all you need is a hug, then that's ok - just ask for a hug. There are some good forums online, depending on what Mental Health issues you have, and sometimes talking to a complete stranger is easier to do than talking to someone close to you. I also use my blog as an outlet to share my feelings. Maybe not everyone wants to read my posts, but for me, it's the way I can get my thoughts out of my head and I can focus on other things. I swear my favourite thing about this series is really getting to understand a little bit more about how the people I look up to online deal with their own situations. As I said before, Kat is such a thoughtful, compassionate person and I hugely admire that in her, especially when she has been through so much. Her whole attitude is an inspiration to me. I really relate to the point Kat made about old-fashioned opinions of mental health. I think it's awesome that so many younger people are becoming so open and are able to talk about it, but I definitely think it's much harder for older generations. I know that certain family members of mine find the concept of mental illness quite hard to grasp, and it can be really testing to constantly have to explain everything and then have it brushed off as 'ridiculous'. It's even worse when you can see an older friend or relative struggling, but they are reluctant to talk about it or seek help. I just hope that by opening up channels of conversation with those around us, we can show that, as Kat said, there is absolutely nothing to be ashamed of! Without getting too much into Kat's personal story (she tells it better, go check her blog! ), I found the concept of comorbidity between chronic pain and depression really interesting. I read a study that found 35% of participants who had chronic pain also had depression. We need to be talking more about invisible illnesses, the often incredibly unfair bias medical professionals can sometimes seem to have against them, and how we can support people who have them. I know how it feels to have had to prove myself regarding mental illness - the idea that people have to do this twice over, with both a mental and invisible illness, is enraging. We need to do better. A humongous thank you to Kat for getting involved and sharing her insight with us. I really appreciate her answers and having her on my little blog! Such a thoughtful and caring package to send out! Thank you for sharing this - and to Kat for being so open to share as well! Posts like this one - bringing the mental health conversation into the spotlight - are important!